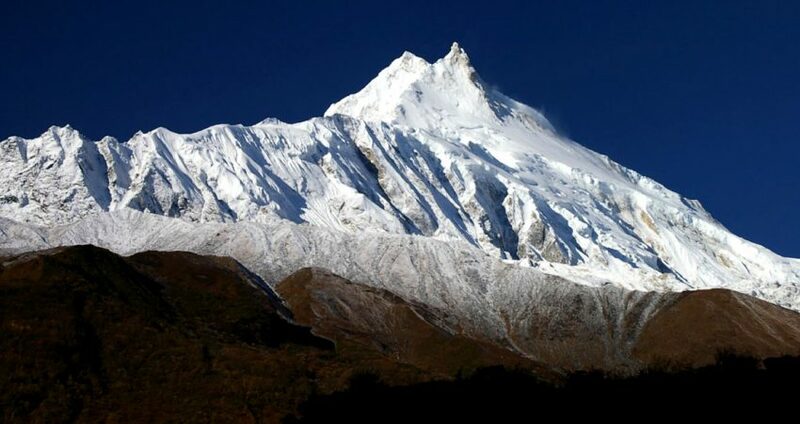 The Manaslu Circuit Trekking Vai Larkya Pass is one of the best treks in Nepal for those looking for an alternative to the more popular Everest Base Camp trek or Annapurna Circuit trekking. The Manaslu region is a restricted area and despite it becoming more popular each year, it is nowhere near as developed as the Khumbu or Annapurna regions. Nepal Guide Info has been leading treks to this area since 2008, when we organised an Trekking and Hiking that Manaslu trail, the crossing of the Larkya La (5,213m) being the high point and highlight of the trip. Typically covered in snow, but not overly steep, it is normal to cross the pass without the use of crampons (we take them just in case!) Overall, the trek is suitable for first-time trekkers, as well as those who have trekked in Nepal before. Your adventure begins with an exciting drive to the town of Arughat, a large prosperous bazaar in central Nepal. From here the trail leads through bamboo forests and deep gorges, penetrating into the heart of the Kutang Region. This region is inhabited primarily by Gurungs, who practice Buddhism. You continue into the higher mountains of the Nupri Region, a fascinating area inhabited by descendents of Tibetan immigrants. Samagoan (3,541m) is a growing village and a good place to spend two nights acclimatizing, before continuing via Samdo to Larkya Phedi at the base of the Larkya La. From the top of the pass you feel incredibly close to the colossal snow-covered peaks and it is not uncommon to see avalanches cascading down their flanks. Once you have descended to Bimtang, there are four more days of trekking to reach Bhulbule where you meet your transport for the drive back to Kathmandu. Accommodation in a -star hotel, in Kathmandu with breakfast for two Night. Guest house accommodation during trekking in the mountains. All ground transportation as per the itinerary by bus from Kathmandu and back to Kathmandu. Welcome and farewell dinner for lasd day before depature home.